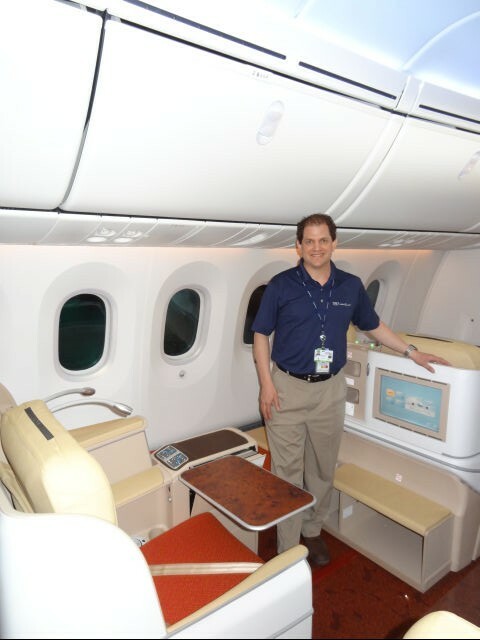 A330 Production Ramps up, but Patrick Piedrafita isn’t quite right. 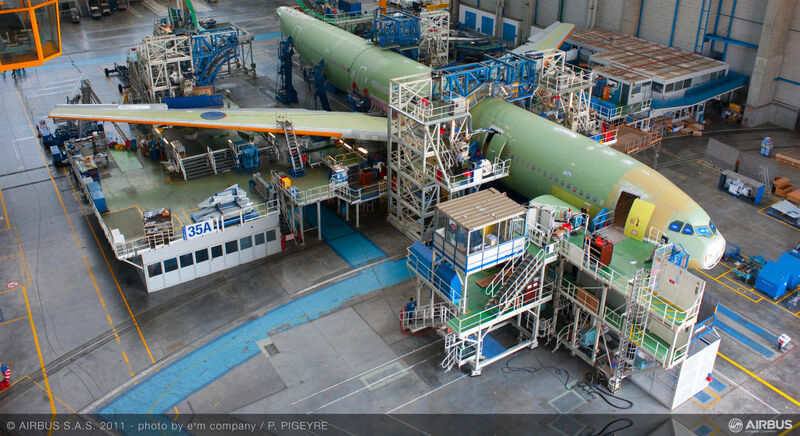 Airbus has announced that its Airbus A330 production rate has touched 10 aircraft a month, which is significant for a wide body airliner, and the highest production rate of any Airbus widebody aircraft. Airbus claims that the Airbus A330 is “the most popular in its category”. A330 Programme head Patrick Piedrafita said more than 800 sales have been logged since Airbus’ competitor launched its 787, validating the A330’s sustained competitiveness. That statement is vague. The 767-300ER, and the 767-400ER, together have 621 orders, of which only 9 are unfulfilled. 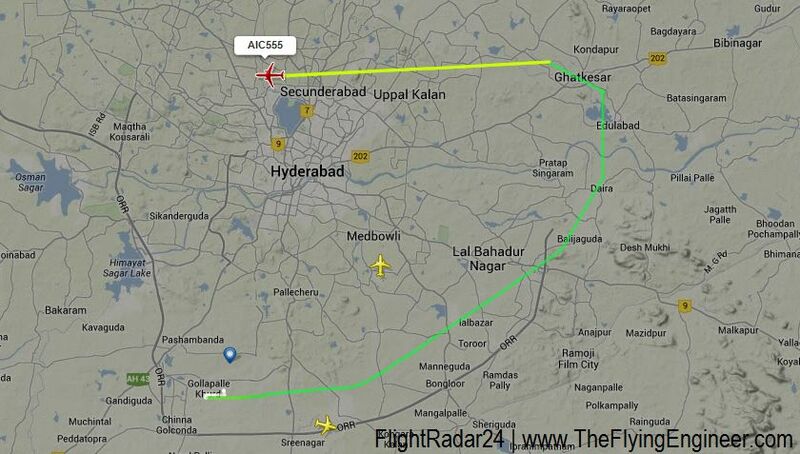 These two models compete with the A330-200 in capacity, but fall short in range by more than 1,500NM. 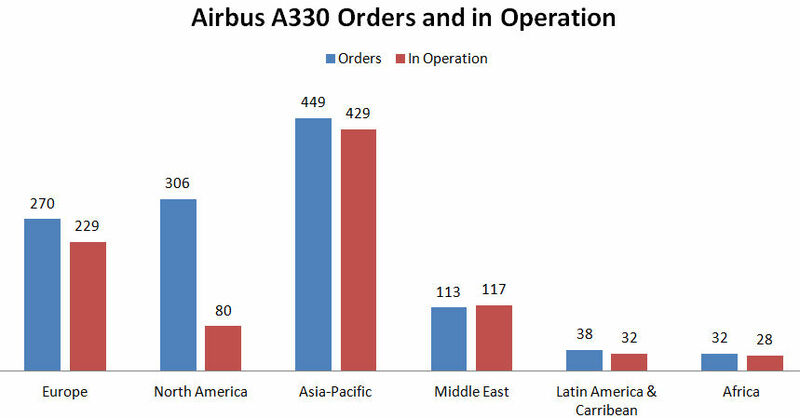 There are totally 575 orders for the Airbus A330-200. Yes, the Airbus wins considering it is a younger airplane and offers more range and capacity. 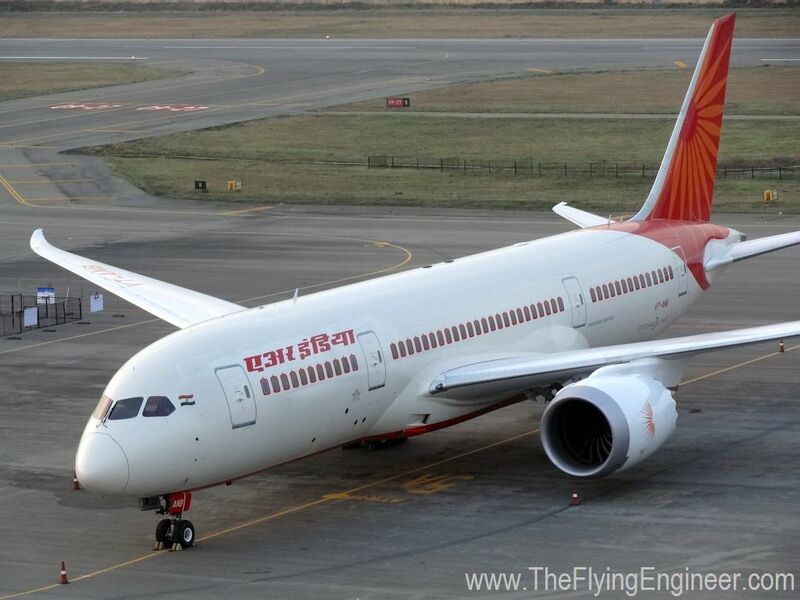 Then, the 787 was introduced to replace the 767 and compete against the popular A330-200. But the Boeing 787-8 has orders for 535 airplanes, of which 50 have been delivered. If the 787’s issues are resolved, and it re-enters service and production, it quickly eclipses the popularity of the Airbus A330-200: It offers a lot more, for the same price as the shorter Airbus A330, while offering the same range and passenger capacity. Which explains the orders for the 787-8. The 787, was introduced in service in 2011, while the A330 entered service in 1992. Considering this gap, the 787’s sales performance is way better, underlining its competitiveness. If A330 Programme head Patrick Piedrafita says the A330 is still competitive, he must realize that if the 787 program ran smooth, the A330-200 line would have closed. It isn’t the 787, but the 787 program that still makes the A330-200 a safe bet. And yes, he must be reminded that the A330-300 is a different aircraft. 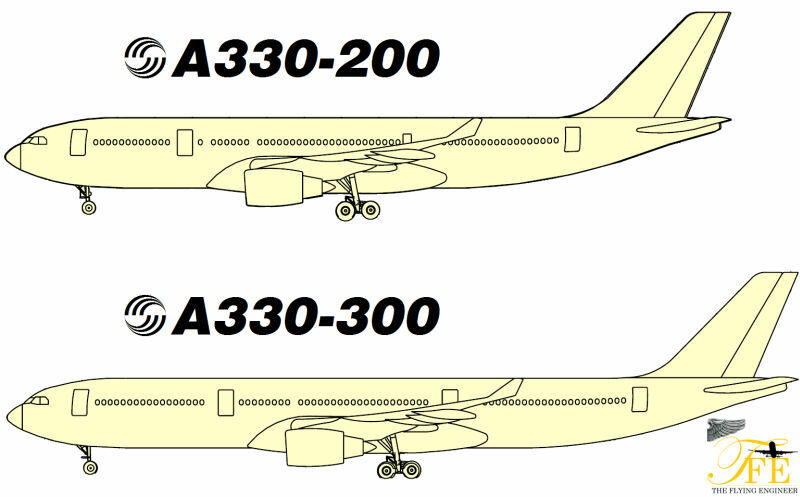 The Airbus A330-300 competes against the Boeing 777-200 and 777-200ER aircraft. It has the same passenger capacity (440 max pax), but has a range that falls in between the -200 and the -200ER variant. The 777-200 and the -200ER together have orders for 510 airplanes, while the A330-300 has a order book total of 622 airplanes. The A330 family does not compete with the other 777 models (-200LR, -300, -300ER). The Boeing 777-200LR, 777-300 and 777-300ER compete with the Airbus A340-500 and -600, which are now out of production. Although the A330-300 boasts a range similar to the 777-300, it falls short in maximum passenger capacity by 110 passengers. The A330-300 costs lesser than the 777-200 and 200ER aircraft, and is cheaper to operate. Yes, the Airbus 330 is a lot more competitive than competing 777 models, and stands as the best aircraft in its category, but that doesn’t mean it is more competitive than the 787. Infact, the A330-300 is a lot more popular than the A330-200. But Airbus can’t compare the A330-300 with the 787. Apples and Oranges don’t look, smell, and taste alike, even if they have 2 wings and two engines. 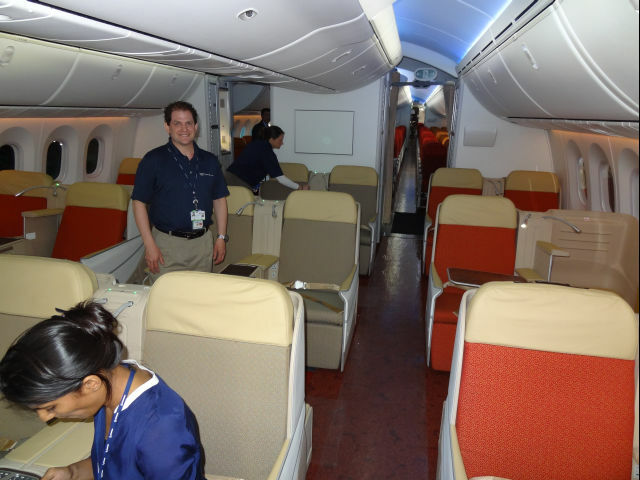 I thought I’d be this cool dude by writing an extensive article on the 787 right away. Its too big, and too grand for that. 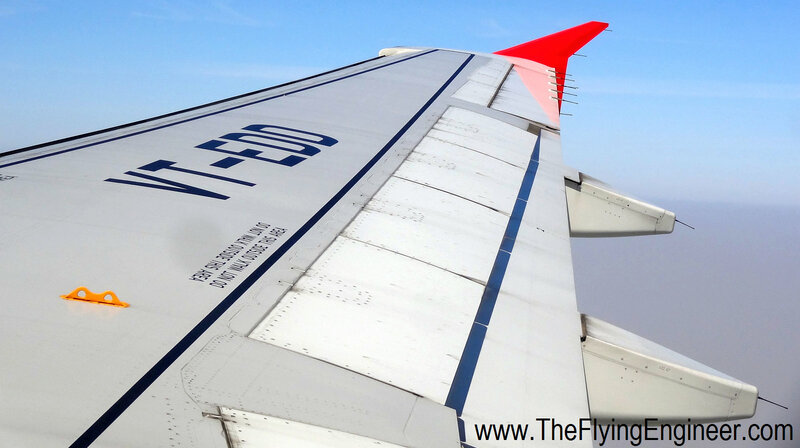 In the time I will take to write up on the Dream, enjoy the photos from The Flying Engineer, who got one of the most detailed tours of the new bird from Boeing. And I adopted a reverse airflow direction over 238 economy seats and 18 business to cover this bird. Paid off! 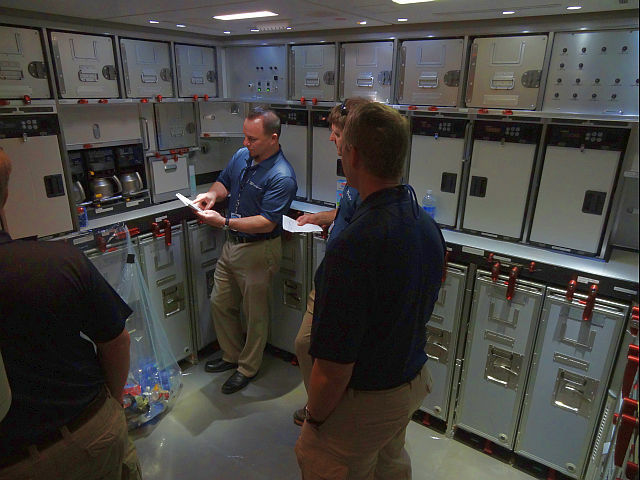 The 787's aft Galley. In this airplane, the feeling of space is overwhelming! 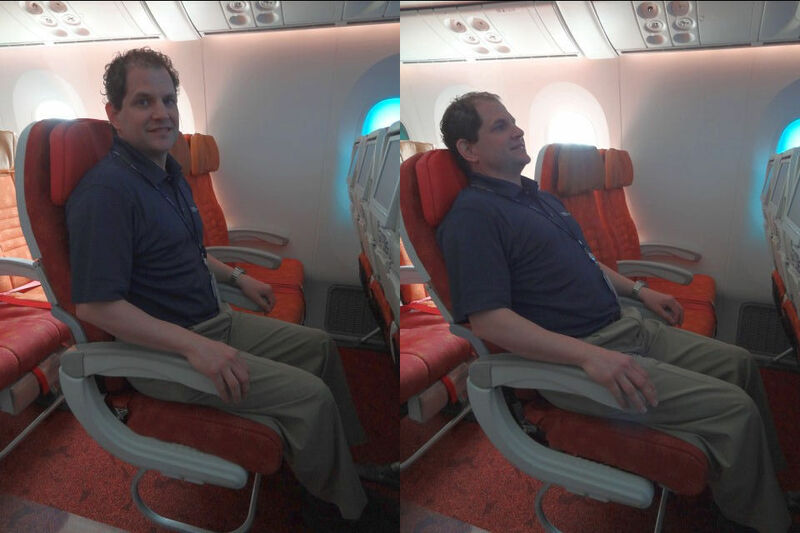 A very kind Boeing employee showing me how much the seat can recline in the economy class. 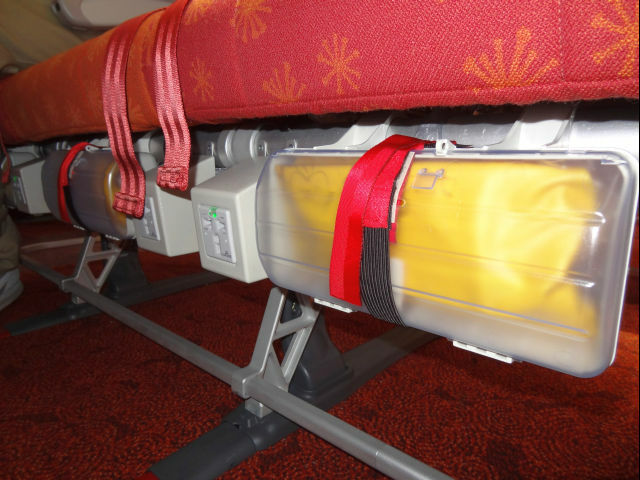 Notice that the bottom cushion for the thigh support slides forward as the seat reclines backward. Another great feature on board this Boeing is the foot rest. Small additions like these make a long 8000NM flight more comfortable. The Economy entertainment system. Providers of IFE are Panasonic and Thales. The nice handy remote can allow you to not only play your personal collection of movies through the provided USB socket, but can swipe your card for payments as well! Another small yet useful feature: the 115V AC sockets for your appliances: available for every passenger under his/her seat! 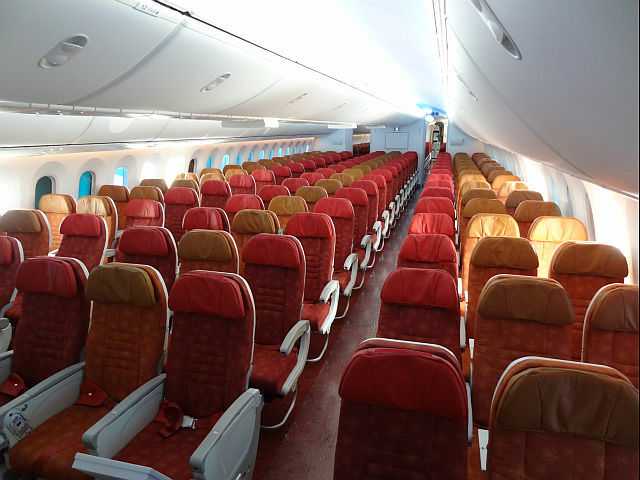 Cabin clean shot: the economy 9 abreast seating (3-3-3) with a 32" seat pitch. 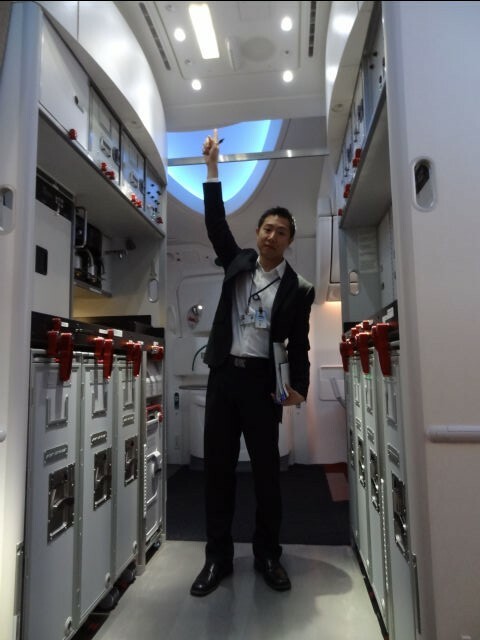 Notice the feeling of space, the elevated ceiling, and the very curved overhead bins. It fools you into believing that there isn't sufficient overhead space. See the next photo to know more! 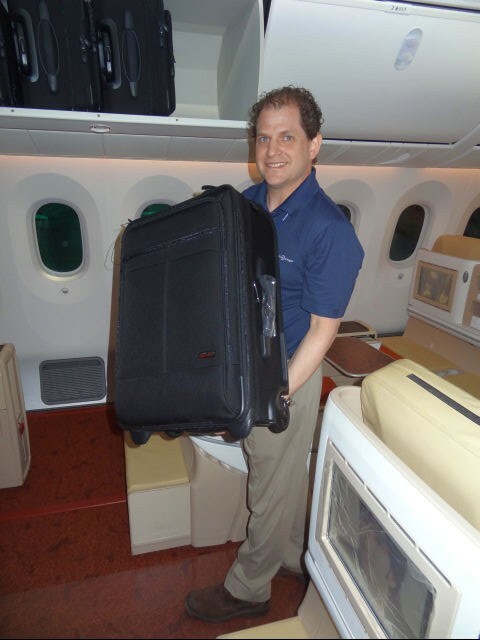 Mr. good guy from Boeing poses with a huge trolly bag and a charming smile, just to show what can fit in the overhead and how! See the next picture. 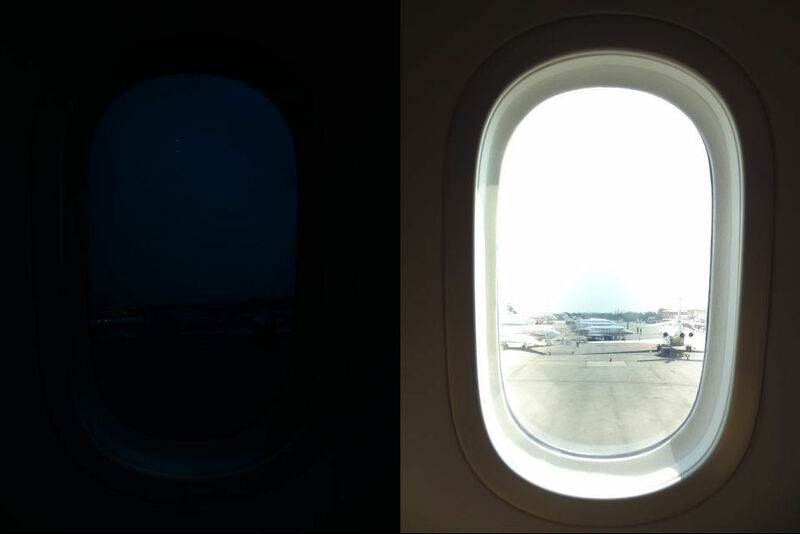 A comparison of the overhead bin, when opened, and retracted (closed). notice the space. And notice the illusion of a poor capacity when retracted. Its unbelievable. 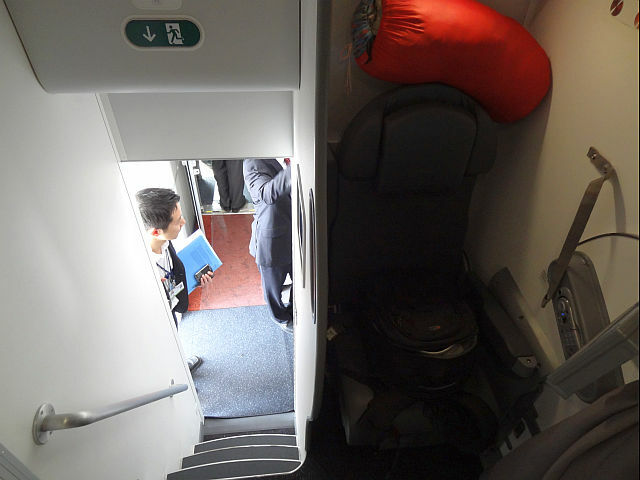 All due to the overhead bin innovative design, you no longer have to crouch to reach your window seat. 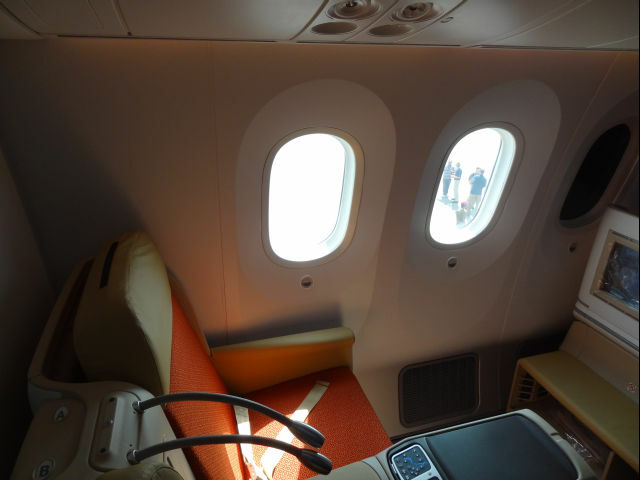 You can stand closer, and longer, for seats close to the window. There is comfort, there is space, and there is well-thought-of engineering. 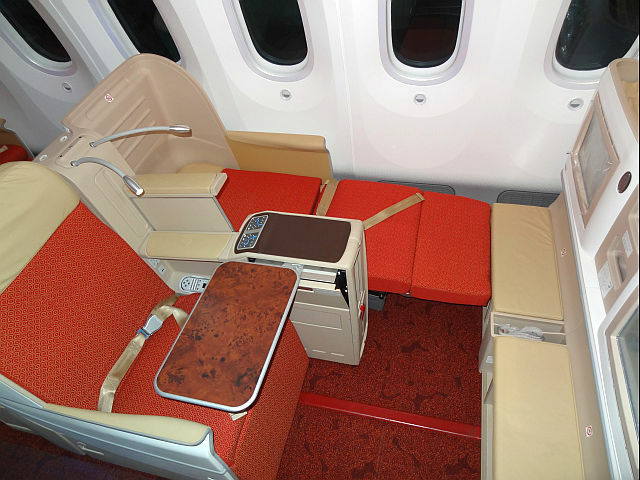 Business Class: Notice the seats that allow you to lie flat and get a good flight's sleep! Mr. goodguy from Boeing poses again just to show you how much space there is everywhere. 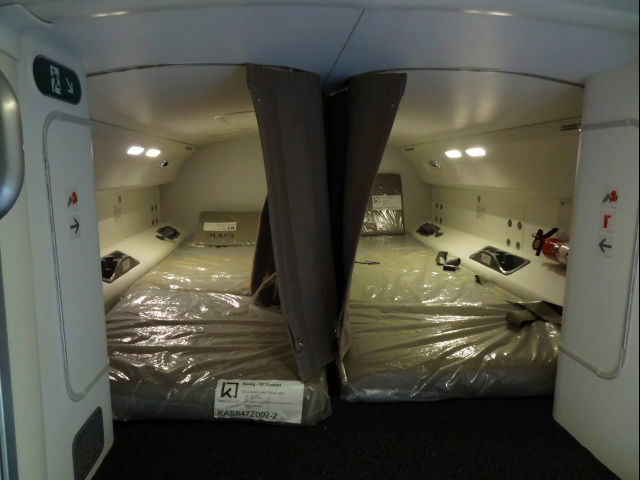 A wide cabin, a tall ceiling, curved and non-intrusive overhead bins: all make for a very good feeling of space. 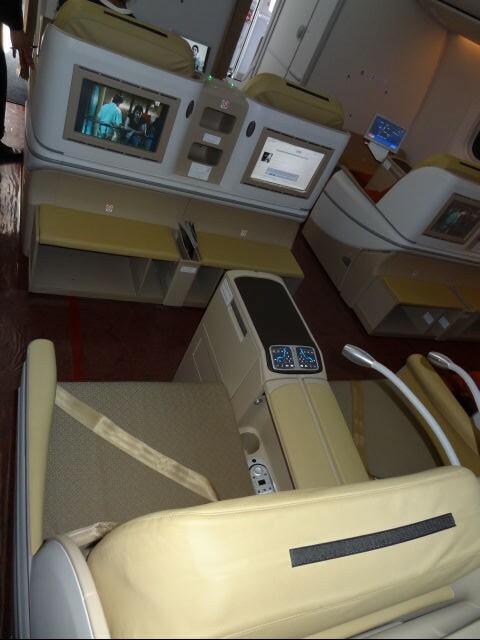 Another take of the Business class seats! They're wide, and they have a 78" seat pitch. The IFE seems good, but the comfort is unparalleled. The small round control below each window is responsible for the dimming. A view from the crew rest area, looking down at the cockpit entrance. Cozy enough, comfortable. Enough for the crew? See the next photo to find out! Boeing's 787 Captain Pat Bearce, a 6ft 3" tall ex-marines pilot, showing me that he too is comfortable in the crew rest! The holy deck. 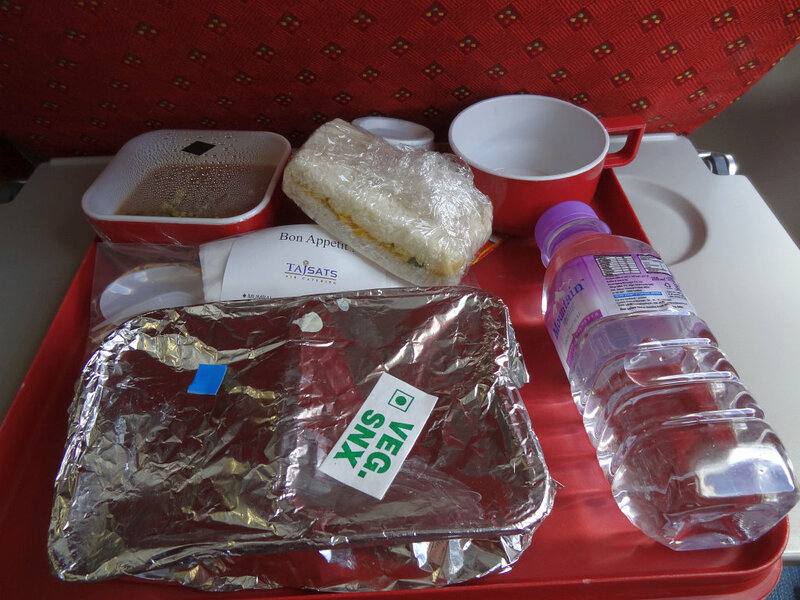 The most sought after tourist destination on board the airplane. 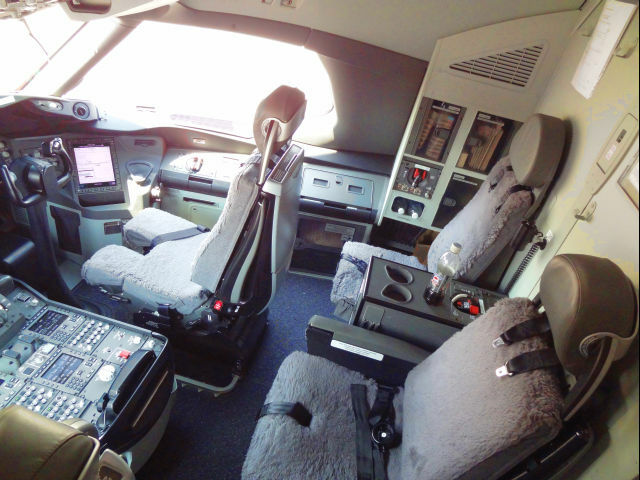 the Head up Displays, the avionics, and the simple feeling of luxurious space is very luring. Another view of the deck, from the Captain's seat. The Honeywell FMS running on a Smith's (now GE) Hardware. 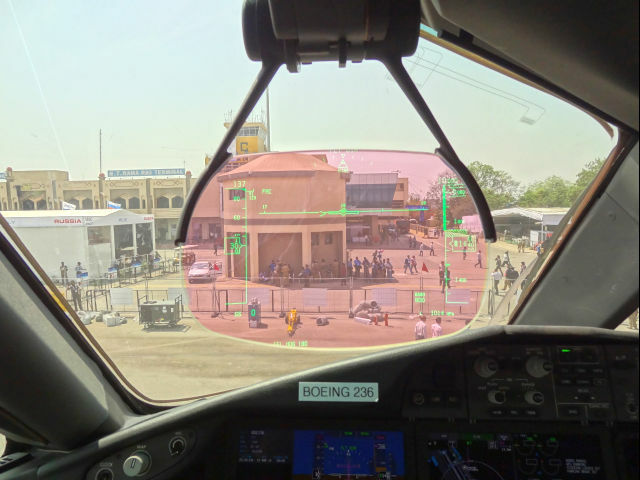 The Head Up Display. Notice how the display doesn't need constant refocusing of the eye. Infact, the lady captain said she who needed glasses to see instruments up close now no longer needs any spectacles while flying. HUD's allow you to have lower approach minima in poor weather. I regret not having caught her name (Edit: Capt. Ross). There she is showing me the 787's "soft" FMS, which is NOT a touch screen, as one would be fooled into believing. A mouse-like cursor is navigated to the desired software buttons and clicked. pretty much like a laptop touch pad. Up close and even closer. 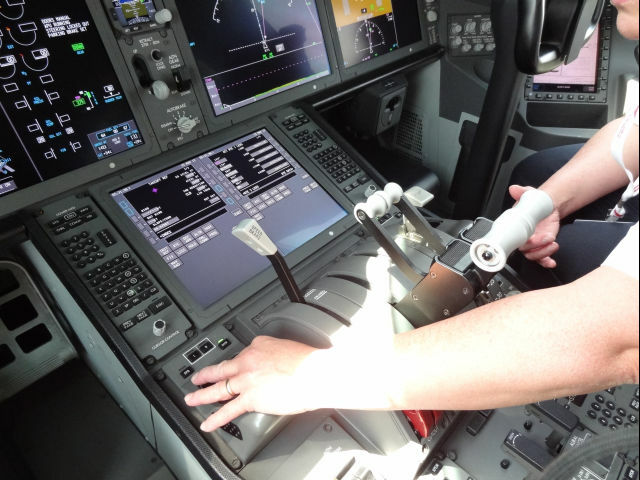 The Capt's hand on the Cursor Control unit., and shes navigating her way through the FMS. Hard to use the cursor and the keypad left of the screen, both of which demand constant shifting of the hand? Not really, says her. Its faster than on the 777's hard-FMS, is what the lady cpatin tells me! 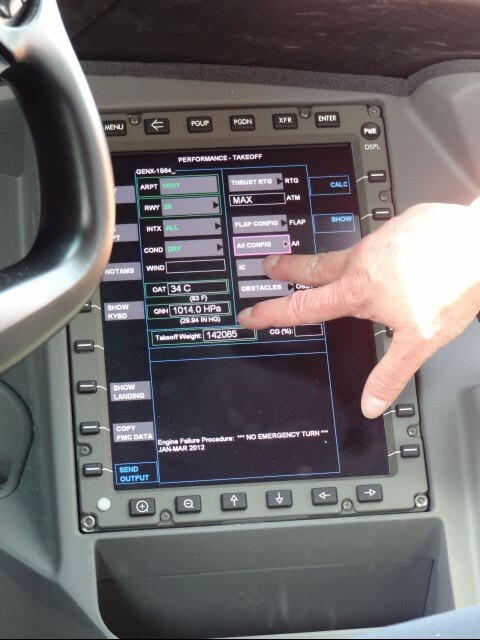 The only touch screens in the cockpit are the Electronic Flight Bags, or the EFB. Comfort. Ease. Style. Technology. 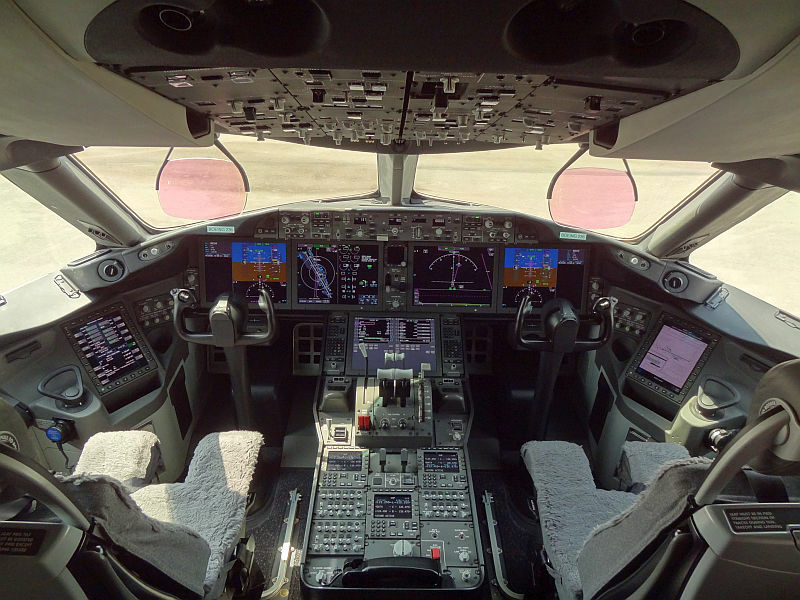 So similair to the 777's cockpit is the 787 that FAA allows crews to undergo only 5 days of transistion training. It hasbn't worked this way across the world, with complaints from ANA, but from a higher level: the controls, the layout, the functions are all very similar to the 777. 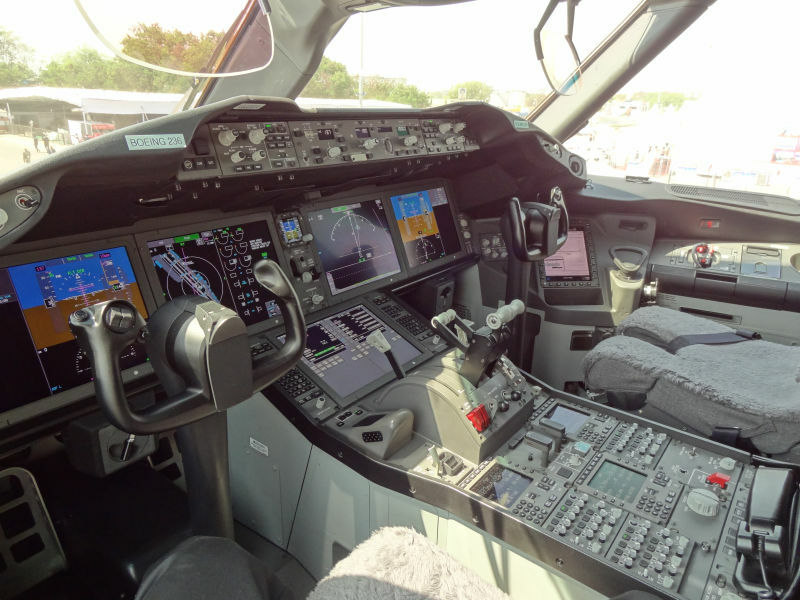 Says Capt's Pat, "To me, I just forget what a 777 and a 787 are when flying. they're transparent to each other. Almost"